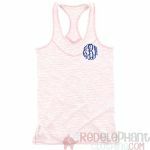 Relax in style with our monogrammed racerback tank tops! 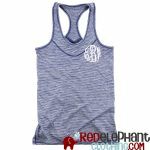 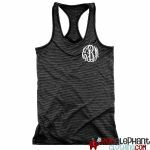 Choose from our sorority tank tops or work out with a razorback tank top including a built in sports bra. 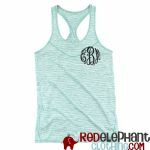 You'll love these personalized tank tops! 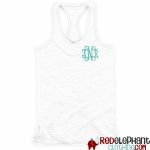 Order a monogrammed boyfriend tank top for a pool cover up.